Some say it is like riding in a washing machine during its spin cycle. 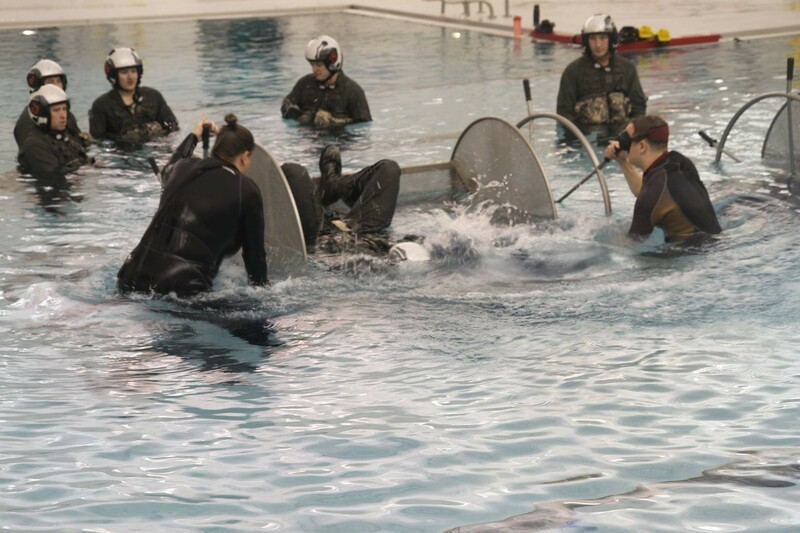 U.S. Army AH-64E Apache pilots assigned to 16th Combat Aviation Brigade got to experience it for themselves during water survival training at Naval Air Station Whidbey Island, Washington, Dec. 2, 2015. 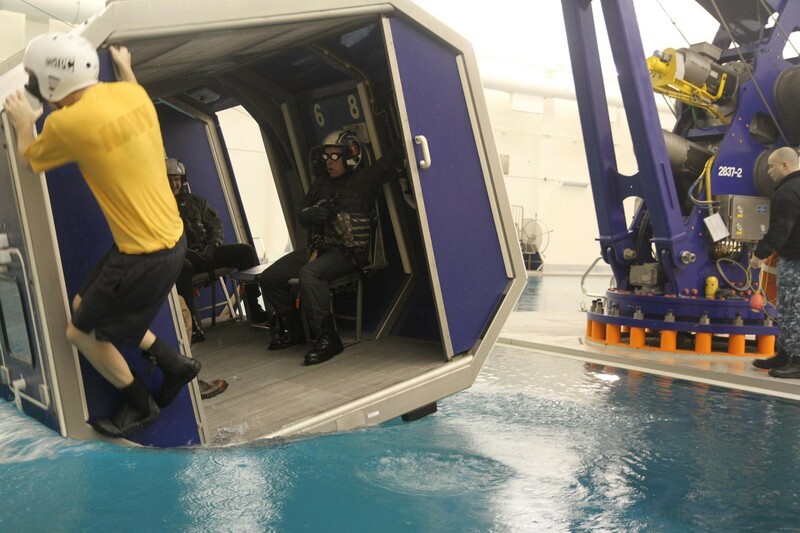 Riding in a large simulated fuselage, the pilots were dunked, spun and soaked multiple times. 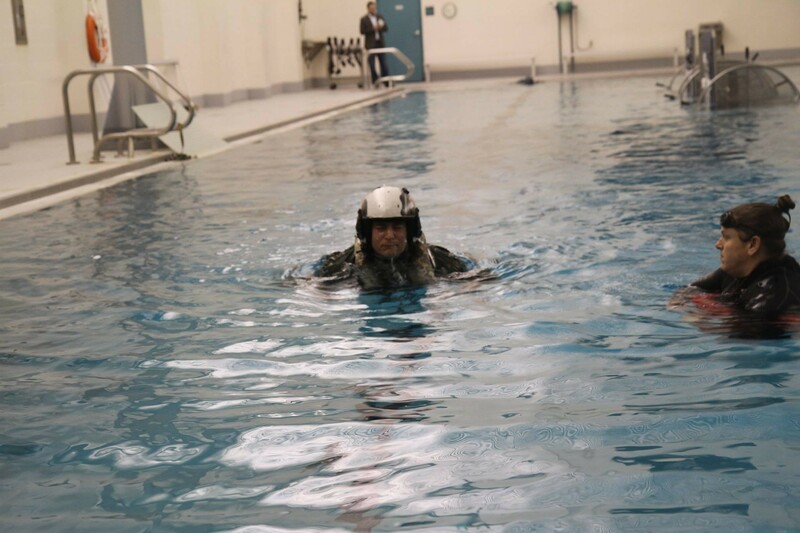 As the Army increases its mission in the Pacific, pilots used to flying over deserts or mountains are suddenly confronted with open water on all sides, and they have to prepare for the unique challenges of an emergency in that environment. 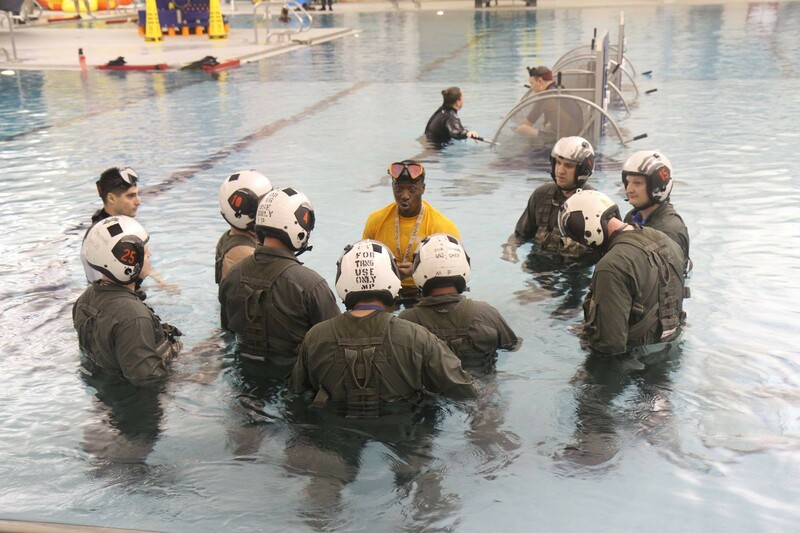 "Seattle has some of the busiest airspace in the country. Eventually you're going to be over the water. This makes you more comfortable," said Chief Warrant Officer 3 Shawn Witt. 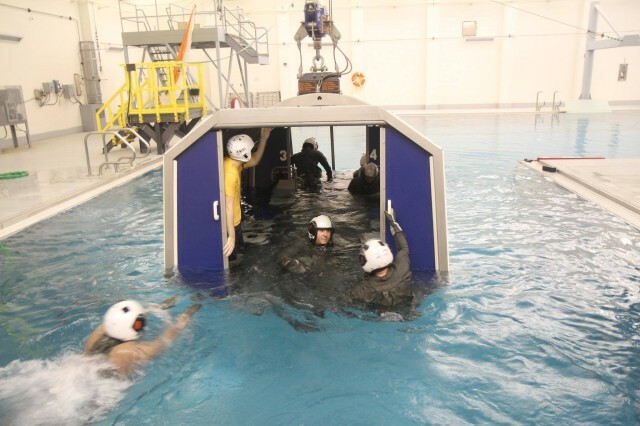 Wearing all of their normal flight gear, the pilots learned how to remain calm in swirling waters even while wearing blacked-out goggles. 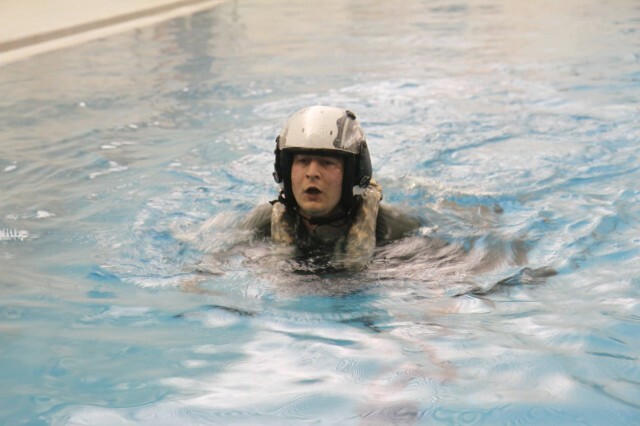 "It was tough. There's no substitute for being put in the dunker and being turned upside down and having water up your nose and then having to find your way out," said Chief Warrant Officer 3 Chris Muir. 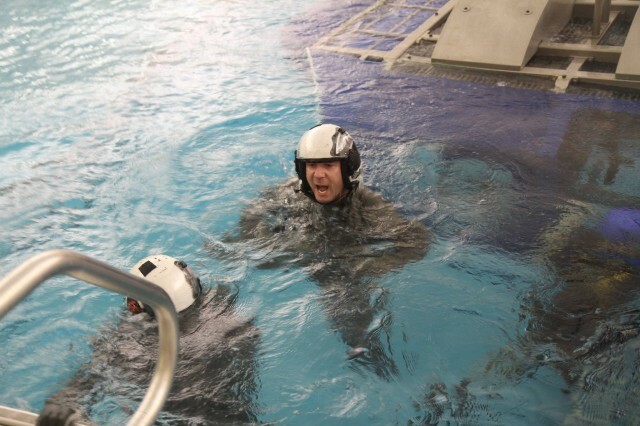 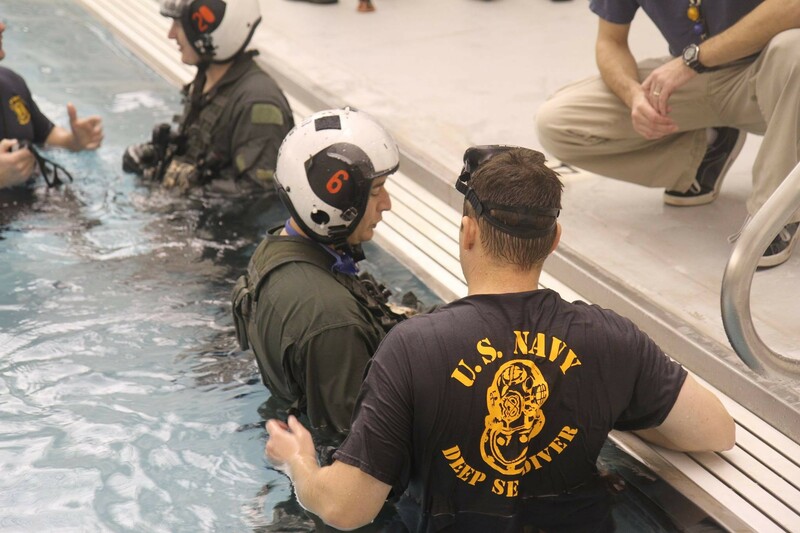 Some of the pilots struggled to master the skills required to safely get out of the simulated aircraft while it was diving and spinning underwater, but the training was invaluable. "We're giving them survival skills," said Lt. Cmdr. 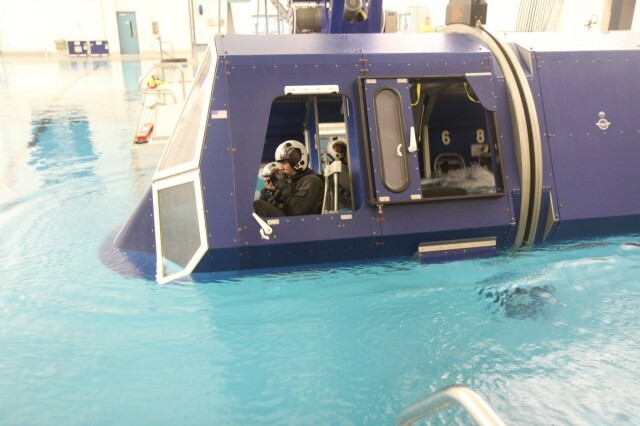 David McEttrick, the director of the Aviation Training Survival Center at Whidbey Island, "God, you hope they never have to use it, but if they do, they have it."